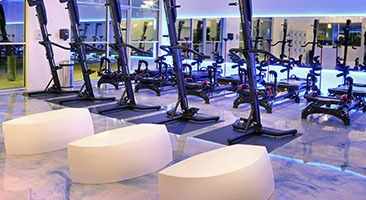 THE LAGREE STUDIO - Stop By Our Austin Fitness Centers! YOU HAVE THE ULTIMATE WHOLE BODY WORKOUT. This total body, 50 minute workout stimulates both your slow twitch muscle fibers and your fast twitch muscle fibers while remaining a high intensity, low to no impact workout. 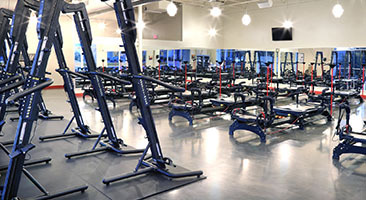 Our Mega + Versa 50 group fitness class at our studios use both the Megaformer M3S and the VersaClimber SM to increase endurance and functional strength, build long lean muscle, and lower body fat. Our Megaformer 45 class focuses solely on your slow twitch muscle fibers, ensuring that with every move, you push your body to its limits while remaining in perfect alignment. During this high performance, low impact fitness class you use full body movements to strengthen your core, enhance your endurance, and build long, lean muscle and lower body fat. This 45 minute fitness class introduces you to Total TWITCH Training®. Our exclusive TLS Approach uses high intensity, low to no impact movements to burn fat, build long lean muscle, and stabilize your core through controlled movements on our state-of-the-art Megaformer M3S and VersaClimber SM machine. Led by the best instructors and coaches in the industry, our introductory classes will set the stage for more total body transformations. 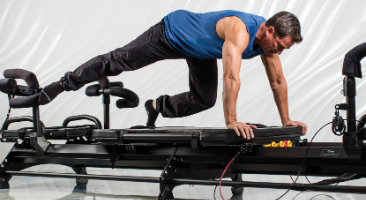 This HIIT, Strength Training and Pilates-Inspired workout utilizes the Lagree Fitness Megaformer and the VersaClimber to effectively combine Strength, Endurance, Balance, Core, Mobility and Cardiorespiratory training, not only in one session but in each and every move. It is intense on the muscles, but low to no impact and safe on the joints, spine, and connective tissues. UNLIKE ANY WORKOUT THAT YOU HAVE EVER DONE BEFORE. THIS IS THE WORKOUT THAT WORKS. PRENATAL AND POSTNATAL MODIFICATIONS AVAILABLE IN ALL CLASSES.